Your home deserves the fine quality handmade doors from ArtFactory.com. We've been building the world's best custom wooden doors since 1913 in our own Scottsdale, Arizona factory. 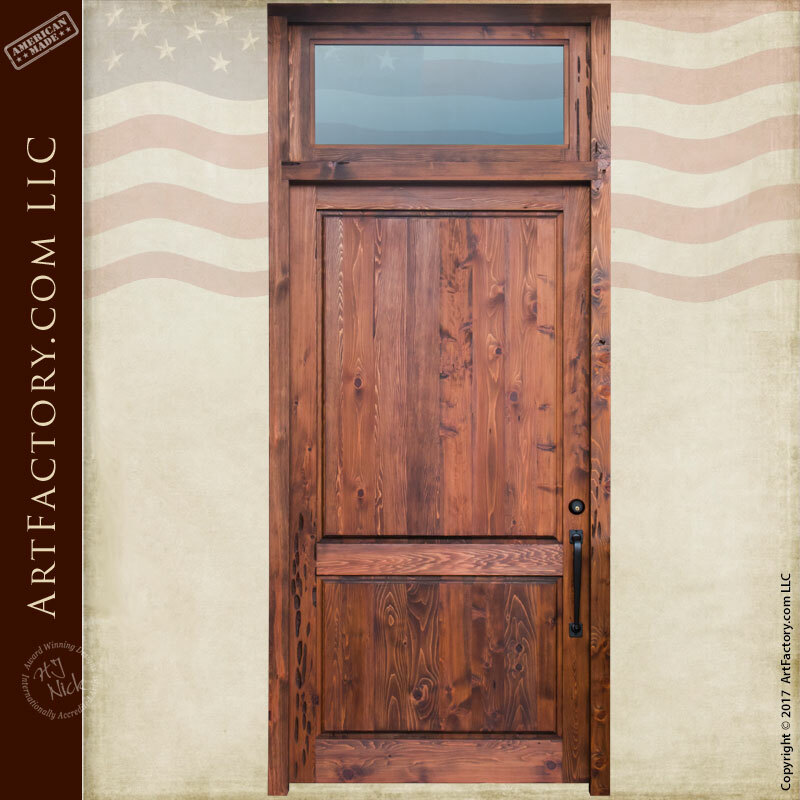 Built from thick, solid, full length timber, our custom solid wood front door with transom is built for your needs. This solid wood door features a classic two panel design with a thermal glass transom. We offer dozens of clear and decorative glass choices to that you can customize the look of your transom or sidelight windows to any style you desire. We complete all of our pre-hung doors with iron hardware that is hand forged by our master blacksmiths. Our expert craftsmen ensure the style you seek is what you'll receive. That means custom door handles and hinges in any size style or finish color. Our ability to build custom hardware is limited only by your imagination. We also have a wide selection of themed door pulls for those looking for something a little less traditional. 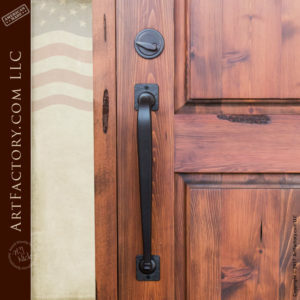 We have everything from nature inspired designs for log cabin style doors, western style, and even sports themes for your man cave or game room. The fine art quality of our custom wood doors begins with our natural air dried and cured timber. Our old world way of preparing timber means we can create custom furnishings guaranteed to never bend, rot, or crack. Also, thick, wood means your exterior custom door is built for the long run. To top it all off, each custom wood door is signed by accredited artist H.J. Nick as meeting all fine art quality specifications. This signature ensures that your product is of investment quality with future appreciable value as an heirloom. Our authentic solid wood doors are made with labor-intensive hand work, built using old fashioned mortise and tenon joinery. All of our wood products are 100% wood, through and through. We do not believe in using laminates, press boards, veneers, or any other type of faux wood. When we say wood, we mean the genuine article. Additionally, our hand forged door hardware is built with pure wrought iron, therefore never erodes or corrodes. Own the custom solid wood front door of your dreams. We guarantee our handmade doors to last forever. 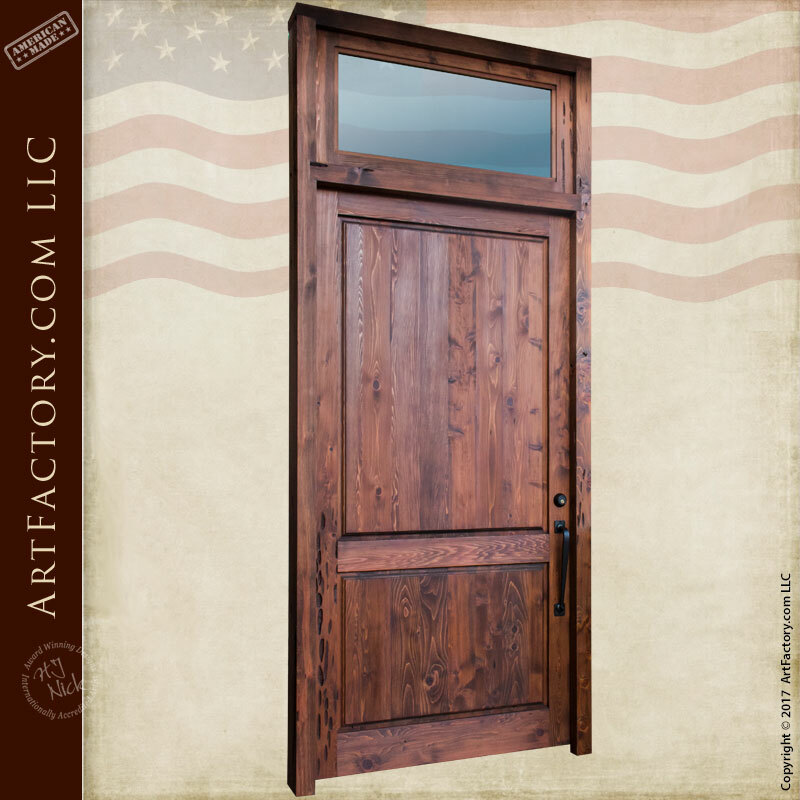 Give us a call for pricing on any of our fine art quality custom doors today at 1-800-292-0008.